When I told people I was going to Conejo Valley in California, all of them – including those in California – asked me where it was. One of the things I love about what I do is exploring the beauty in destinations. 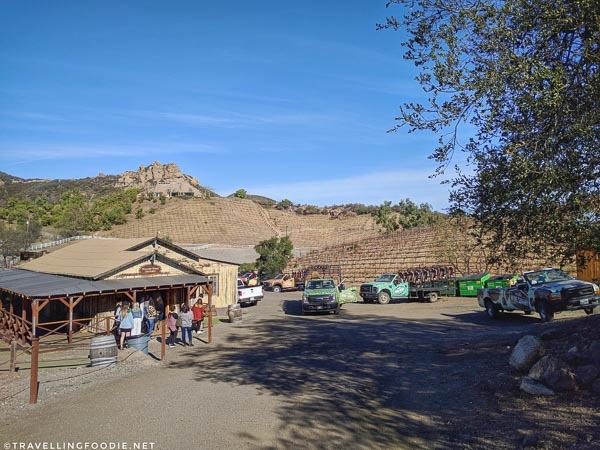 Conejo Valley is one such gem in Southern California that people should know about. 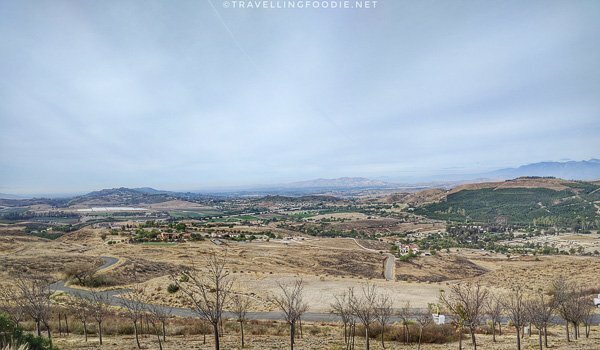 Conejo Valley is a vast region located about 1 hour northwest from Los Angeles. The region includes Thousand Oaks, Agoura Hills, Newbury Park, Westlake Village, Oak Park, Lake Sherwood and a portion of Calabasas. 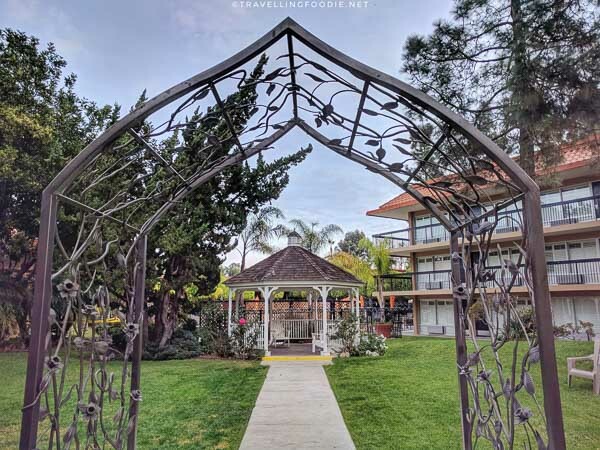 On the first week of January, I had the opportunity to explore Conejo Valley over the weekend, and it was such a fun-filled getaway with fun activities and delicious food! In fact, one of my most memorable activities in the USA is from this trip! 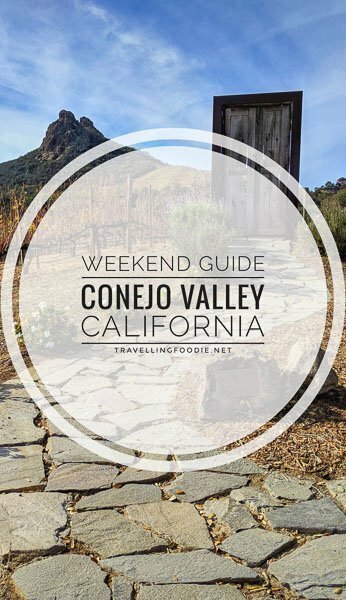 This guide will help you plan your next weekend getaway in Conejo Valley with some of the best restaurants, things to do and place to stay! I’ve never been to a Presidential Library so I knew I wanted to visit the Ronald Reagan Presidential Library. 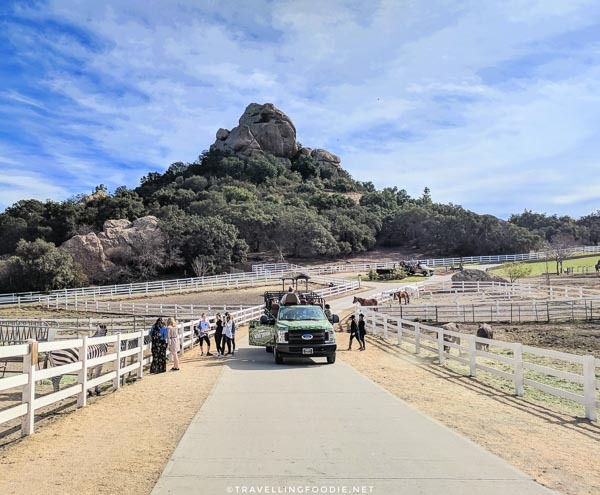 Located a good 20-minute drive from Conejo Valley, the Ronald Reagan Presidential Library & Museum is in Simi Valley and is one of the most popular attractions in Southern California. I highly recommend checking this out even if you’re not into history or politics because the location itself is a nice place to visit. The Presidential Library is situated on a mountaintop with beautiful panoramic views. It is also fun just strolling thru the gardens which have replicas of the White House Rose Garden and South Lawn. In the Ronald Reagan Museum, you’ll learn about Ronald Reagan’s legacy spanning five decades thru 18 galleries with artifacts and displays that pay tribute to America’s 40th president. 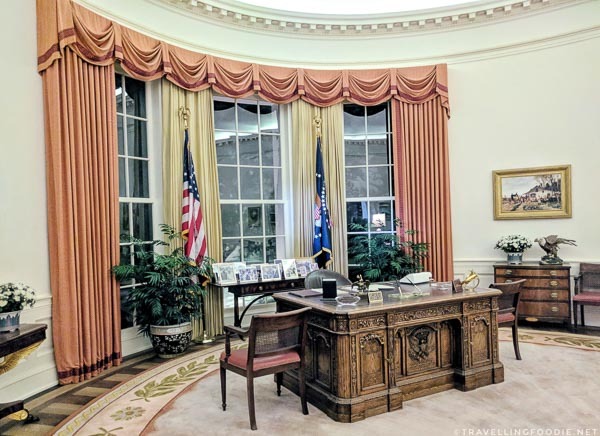 There is even an exact replica of the White House Oval Office. Did you know? President Reagan never took off his suit jacket in the Oval Office. 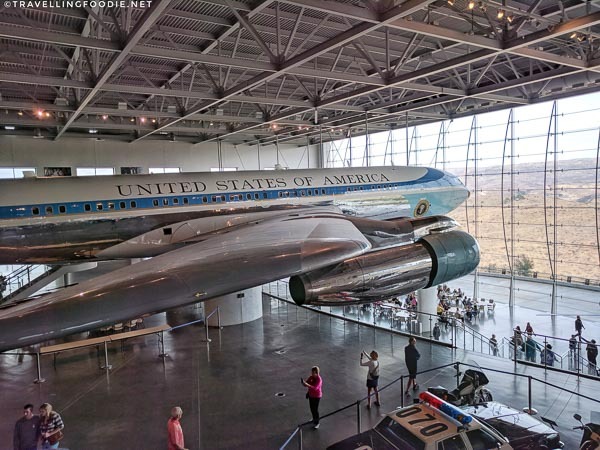 If you love aircrafts or love the movie Air Force One, the actual Air Force One aircraft that President Reagan used is also on-site for you to tour around. The museum also has special exhibits that are temporary. 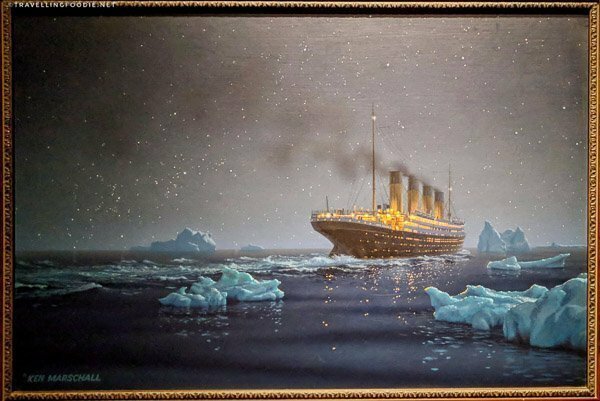 When I went, they had the Titanic Exhibit which showcased not only artifacts from the actual ship, but also props, sets and costumes from the movie, Titanic. 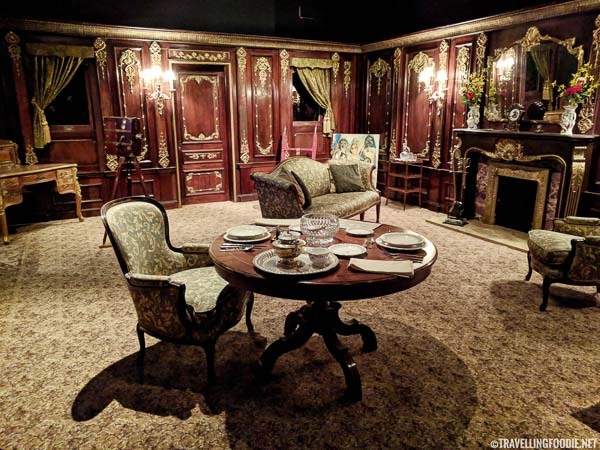 It even had the set of Rose and Cal’s Suite! During the Christmas time, there is another very special exhibit: An American Christmas. It’s a Christmas Tree Exhibit that features decorated Christmas trees that commemorate defining moments in the decade. Whenever I think of Brazilian Food, I typically associate it with Brazilian Churrascaria. Therefore, I was surprised to find this special Brazilian restaurant in Conejo Valley. Moqueca Brazilian Restaurant specializes in moqueca, a traditional cooking style from central coast of Brazil that that uses clay pots to cook seafood. This was my first time trying moqueca, and, suffice to say, I’m a fan of Moqueca Brazilian Restaurant! 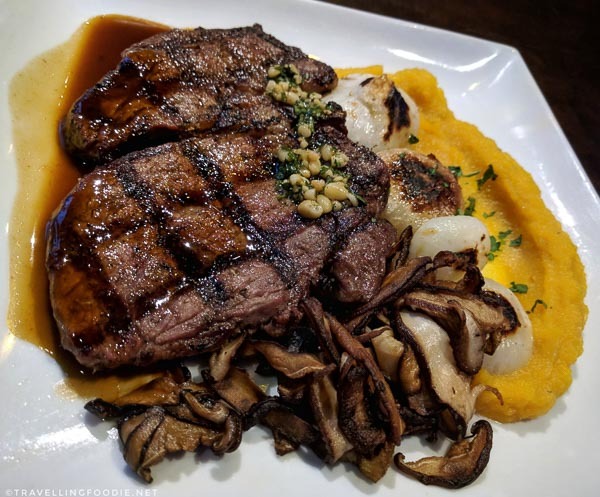 It’s definitely one of the best restaurants in Conejo Valley. Everything we ordered was well made and delicious. Even the complimentary bread they provided was so addicting with their chili oil and also went well with the Casquinha De Carangueijo. Travelling Foodie Tip: I highly recommend you come here during lunch because their lunch specials are really good value. The moqueca we ordered was just $13 during lunch instead of $24. Though it’s a lunch portion, it is still good portion and quite filling. 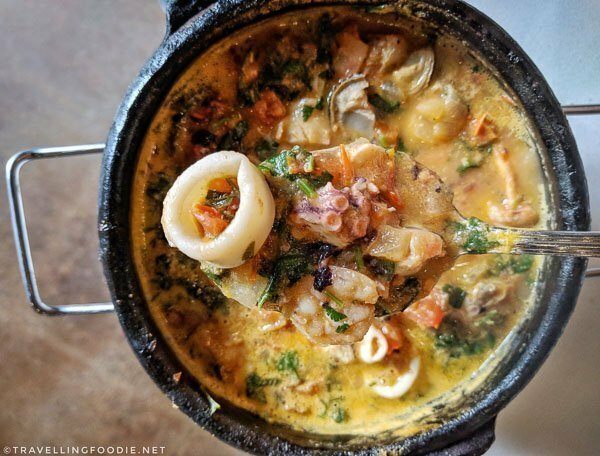 The soup from moqueca is prepared with onions, tomatoes, olive oil, cilantro, urucum essence and coconut milk in a hand-made clay pot. Along with the shellfish, the soup was just so fragrant and addicting. Moquequinha Mariscos ($13) – shellfish combo including clams, squid, octopus, mussels and shrimps. I learned that risotto is a popular cooking style in Brazilian cuisine. 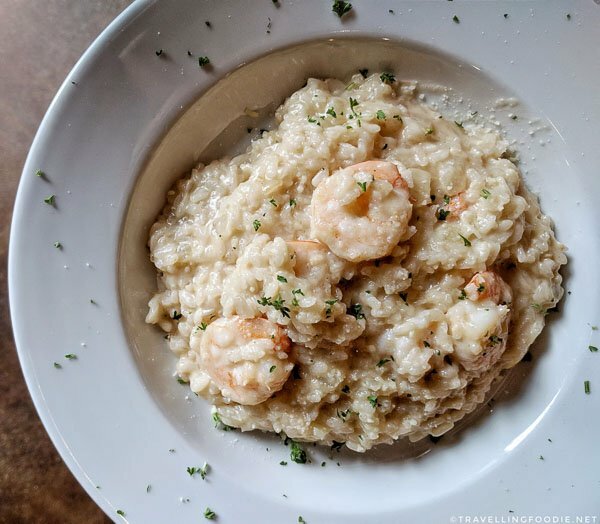 I love risotto, and the shrimp risotto here definitely delivered. The Arborio rice was nicely al dente and the sauce was thick and creamy! They also gave a lot of shrimps! They also have interesting Brazilian desserts like the Kuchen de Tapioca Cake which uses Brazilian tapioca. 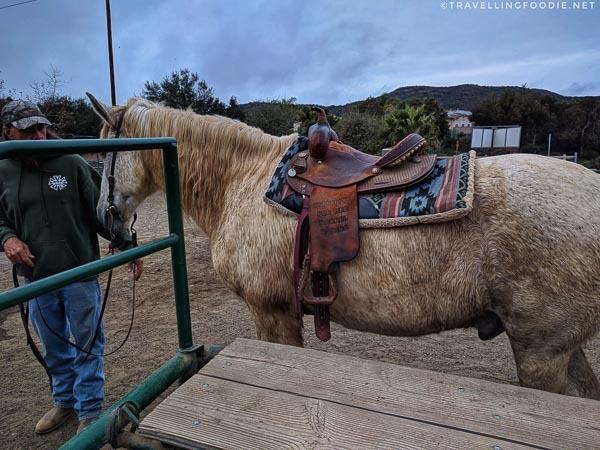 When I was looking up things to do in Conejo Valley, the first thing that caught my eye was horseback riding. With all the nature surrounding the valley, I can only imagine how beautiful it would be to see the sights while riding a horse. 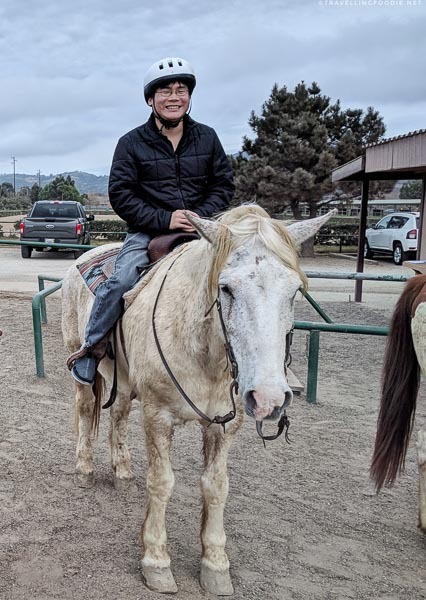 Rocking K Horse Rentals have sunset rides that take you on a horseback riding trail along the Rancho Sierra Vista Satwiwa National Park to watch the sunset over Point Mugu. We initially wanted to do the 2 hour ride, but it was so cloudy that time that we opted for the 1 1/2 hour ride ($50) instead. Note: They only take cash. The ride is a guided tour since it’s easy to get lost in the park. Travelling Foodie Tip: Check the forecast before coming here. 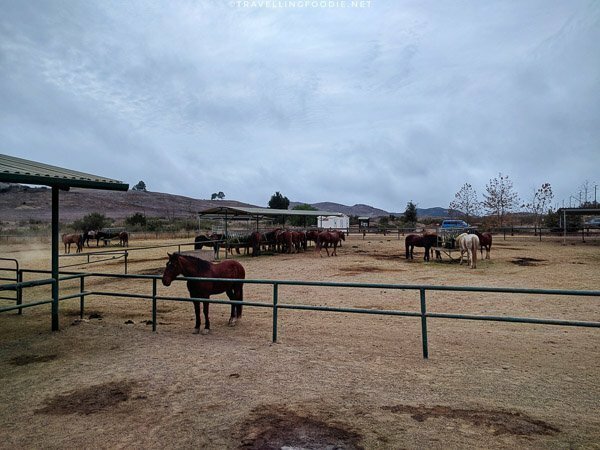 We didn’t get to see the sunset because of the clouds, but we still had fun horseback riding, seeing nature and the vastness of the valley. 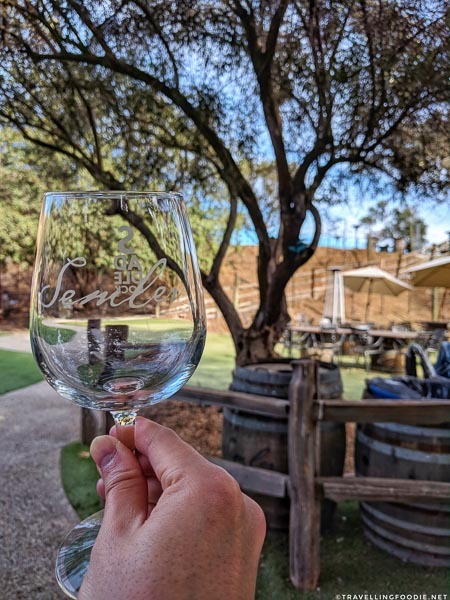 Conejo Valley has over six wineries, breweries and brewpubs. 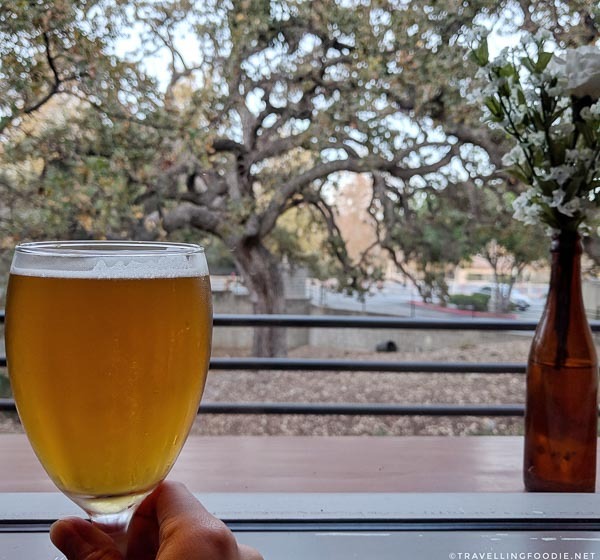 After a long day, the perfect way to end it was to unwind with a couple of drinks and delicious food at Twisted Oak Tavern, a brewpub focused on beer, food and music. There is live music 3-4 times per week, and also a big projector screen to watch sports. Did you know? They were voted Best Beer Bar in California by craftbeer.com in 2016. They have an in-house brewery, which used to be LAB Brewing Co. Their beers are brewed by Brewmaster Roger Bott who has over 20 years of experience. I tried their Honey I’m Home Blonde Ale, and it was light and refreshing! They also serve guest taps from local breweries as well as spirits from local distilleries. Try the Opuntia from Ventura Spirits, a unique prickly pear spirit made from the fruit of the Nopal cactus. Did you know? 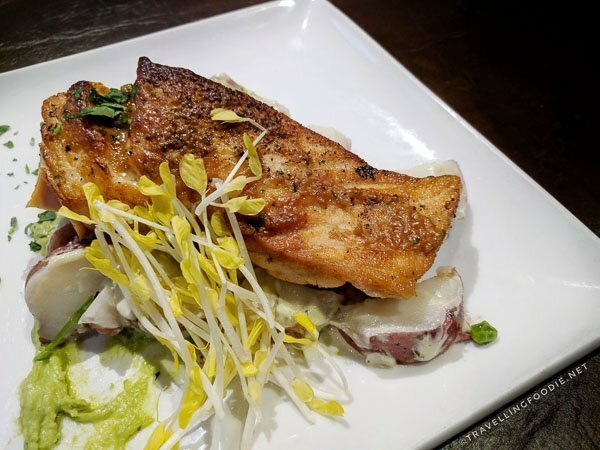 Aside from the Twisted Oak Trees found on-site, they also use Twisted to refer to their “twisted” take on traditional pub fare with each dish prepared from scratch with locally-sourced ingredients. Their burgers are no ordinary burgers. They are a 6oz special blend of chuck, short rib and pancetta. Their Twisted Hand Cut Fries has habanero bleu cheese sauce, beer onions and braised short ribs. 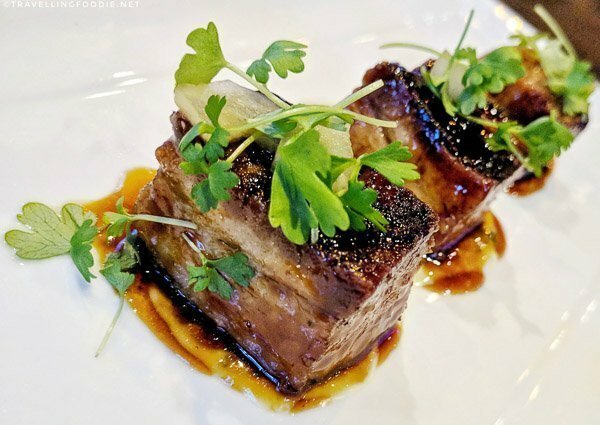 For starters, you must try their pork belly bites. 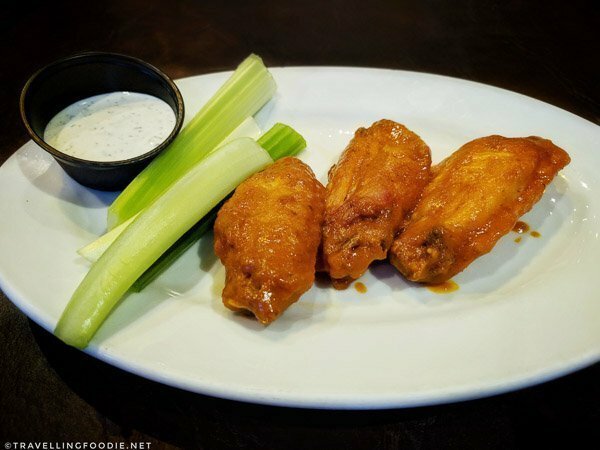 They are succulent melt-in-your mouth bites with a bit of crunch! Their chicken wings are so good with beer. Aside from common flavours like traditional, bbq and teriyaki, they also have interesting flavours like charred habanero and tandoori. I normally wouldn’t think of ordering steak at a pub, but the grilled rib eye here were spot on. The steak was charred nicely while still maintaining the proper doneness. Best of all, it was consistently tender and marbled all throughout! 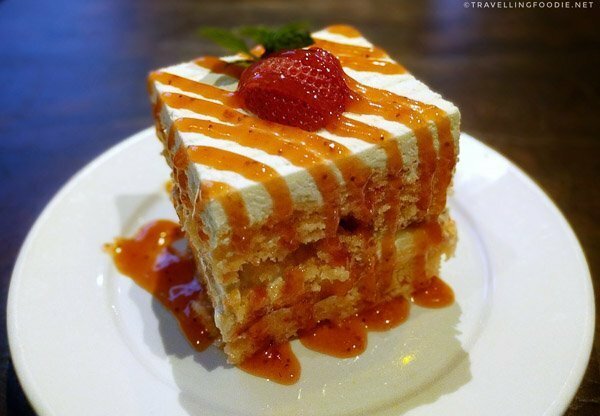 For dessert, I recommend their tres leches cake. It’s light, airy and moist but not overly sweet like most versions I’ve tried. Their take includes strawberries, which added a nice touch. The portion is quite good to share among 2-3 people. Hiking and Wine? Yes, please! Malibu Wine Hikes is one of the most unique experience I’ve done in California. We did the 10:30am slot to make sure there was still daylight and that the weather is still nice and cool. Their second slot is at 2pm. 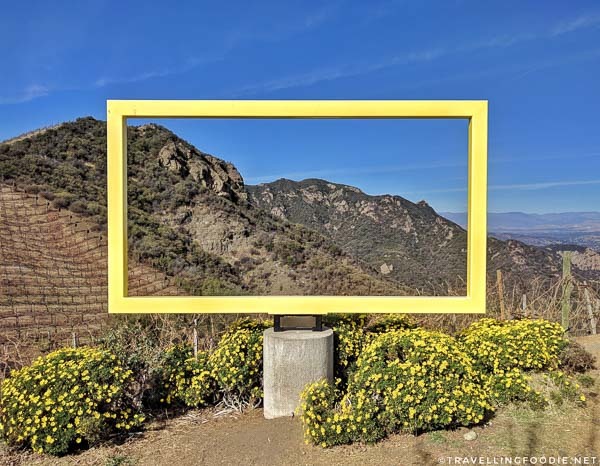 If you’re not into hiking, they also have Malibu Wine Safaris. Instead of hiking, you take an open-air Safari vehicle for the tour. 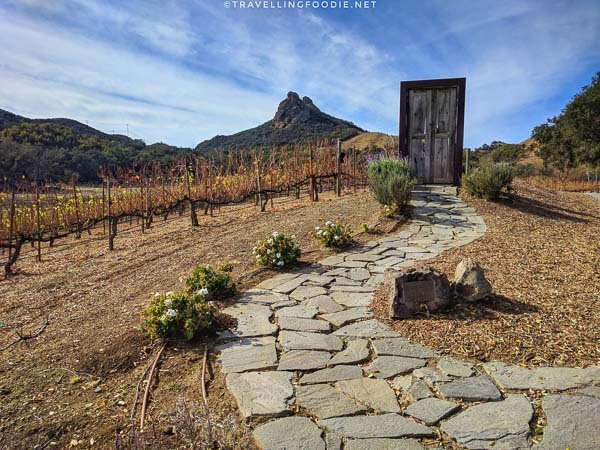 The tour is approximately 2 hours with 1.5 hours of hiking through the vineyard and private estate in Saddlerock Ranch. First thing you’ll realize as you hike is: the ranch is huge! 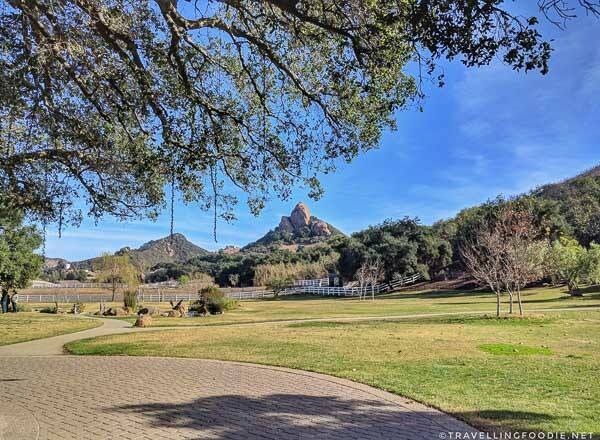 It’s a 1,000-acre site with gardens, rock formations, farms, horse training areas, four wedding and event venues and 100 acres of vineyards. Did you know? Their biggest wedding venue is the Garden setting which cost $27,000 to book! It has a wonderful view of Turtle Rock, named for its turtle shape. 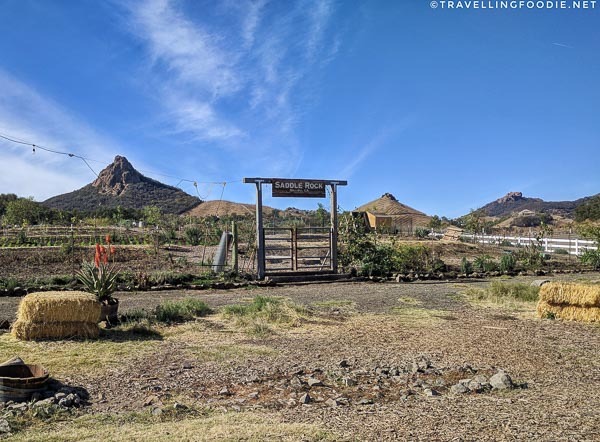 There was a point in the tour where we got to see lots of exotic animals like alpacas, donkeys, llamas, zebras and water buffalo. Did you know? Stanley the Giraffe, from popular movies like The Hangover, also resides here. Another cool thing in this tour is that, aside from just seeing the animals, you get to pet and feed them too! As with animals, you might get lucky and see some crazy stuff happening. 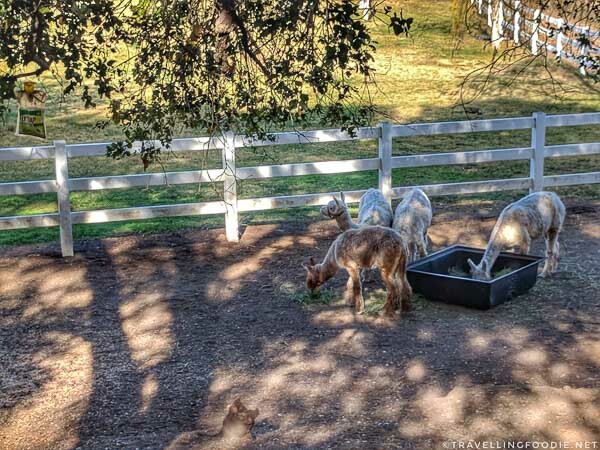 For us, we got to see an alpaca and llama trying to get intimate. I didn’t even know they can cross-breed? The site is also like a sculpture garden. Throughout the hike, you’ll come across different sculptures that make for great photo opportunities. These ones even have a great view of Saddle Rock, aptly named because it looks like a saddle. This sculpture reminds me of National Geographic. You might be asking where’s the wine. 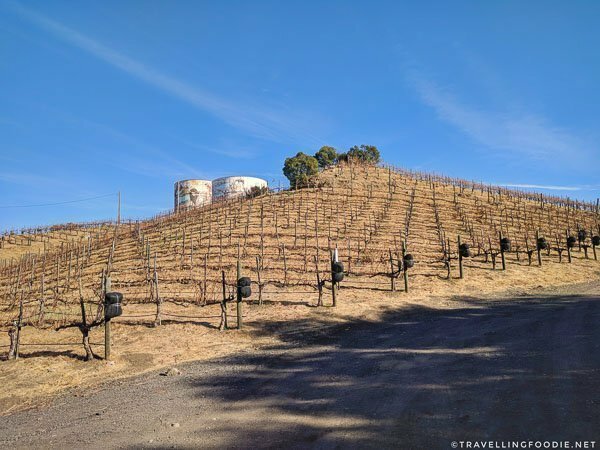 At the end of the hike, we took a shuttle to the Malibu Wines tasting room, where we got to complimentary wine tasting of 5 of their wines. This tasting room is unlike any other I’ve been to. 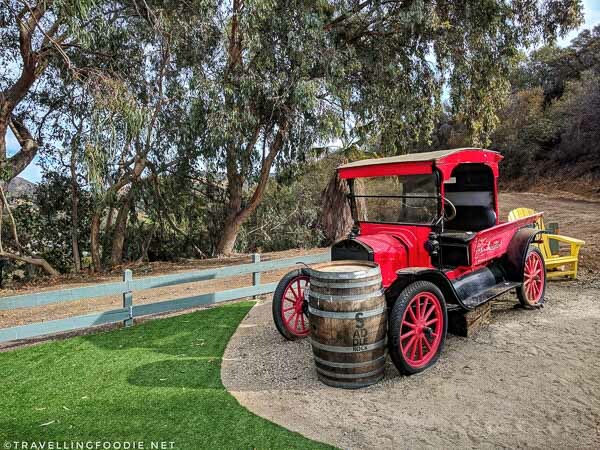 It’s in an open-spaced park with lots of tables, a food truck, a stage for performances, a mini store, and three different Malibu Wine tasting booths. Travelling Foodie Tip: Go during the weekend when they have live music. You’ll want to stay longer here to enjoy and relax while sipping your wine and listening to live music – a perfect reward after the hike! If you’re hungry, you can get food from the food truck, or the mini store also sells cheese and crackers to go with the wine. Or, do what we did next! 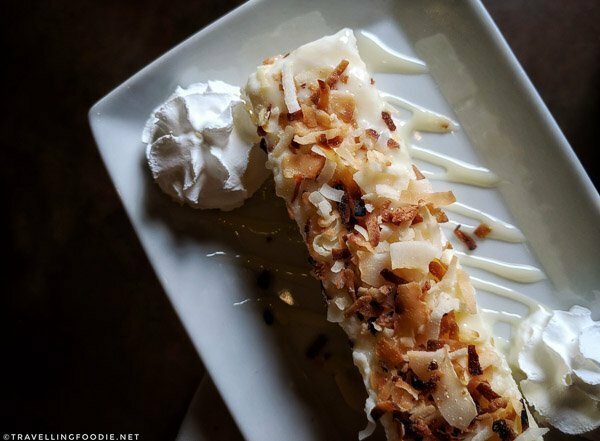 A good thing we found with Conejo Valley restaurants is that a lot offer happy hour. 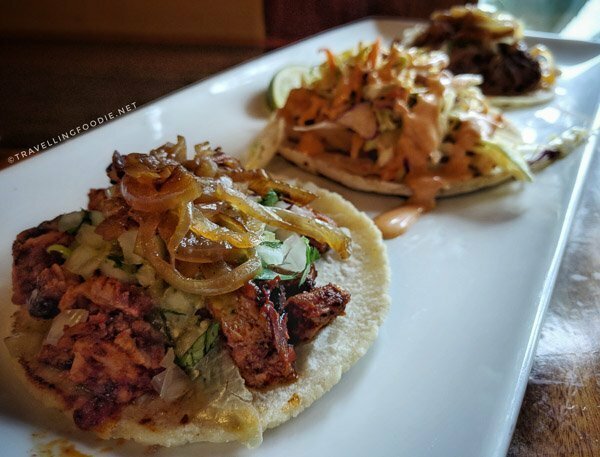 After the hike, you’ll want to head to Plata Taqueria & Cantina for happy hour, which they have every day from 3-6pm! A family-owned restaurant, Plata is great for Mexican food made from scratch daily, from tortillas and tamales to sauces and guacamoles. 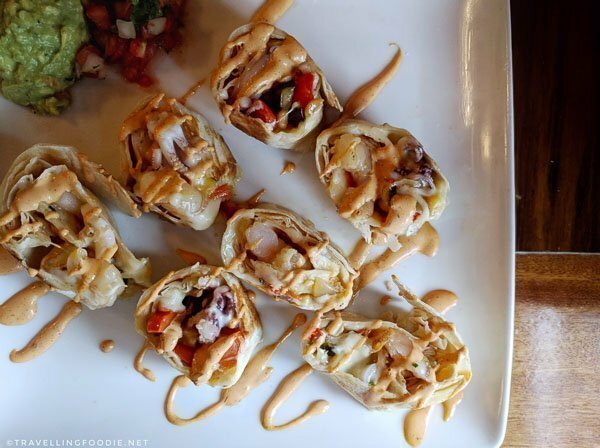 For seafood lovers, I highly recommend the Quesadilla Del Mar with its generous portion of calamari and Mexican shrimp. This is the first time I’ve had quesadilla that wasn’t a flat circle. 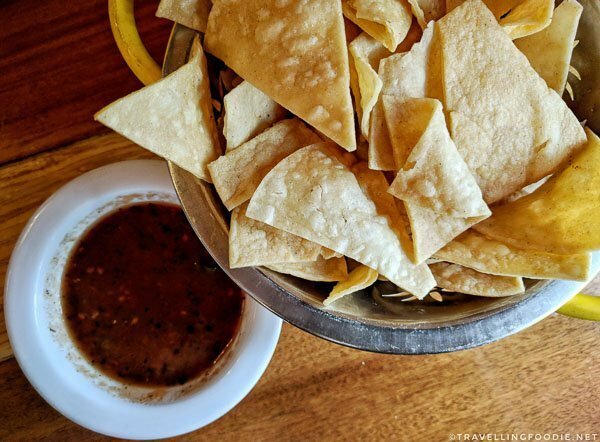 You can’t go wrong with their tacos with homemade tortillas. Be sure to add the homemade hot sauce too! For the weekend, we stayed at Palm Garden Hotel which is conveniently located near the places we visited. The structure is more like an inn than a typical hotel. The site is three levels in rectangular shape. The reception is nice and friendly. I thought it was cool that the reception actually gave bottled waters to the customers. In the center of the hotel is the garden gazebo, and outdoor pool and jacuzzi. As much as I’d like to, I didn’t get a chance to use the pool. 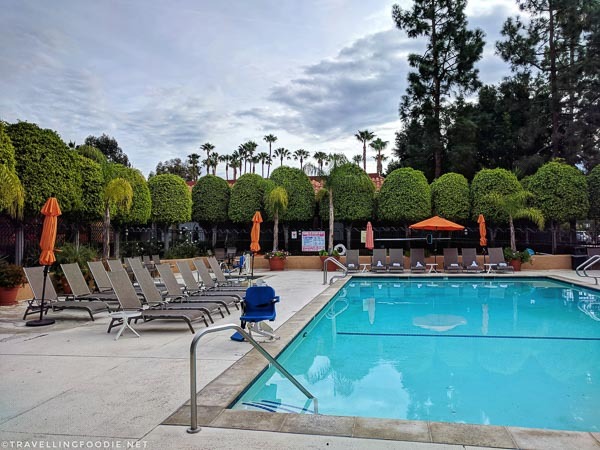 The pool is heated year round, and has complimentary private cabanas around it. You can even have poolside dining and cocktail service from there! You might have wondered why I never mentioned going out for breakfast. As part of your stay, there is complimentary American breakfast at Brendan’s Irish Pub, which is connected to the hotel. The American breakfast includes eggs, oatmeal, potatoes, sausages, bread, bagels, coffee and orange juice. They also have a waffle maker, which is usually what I ate here. 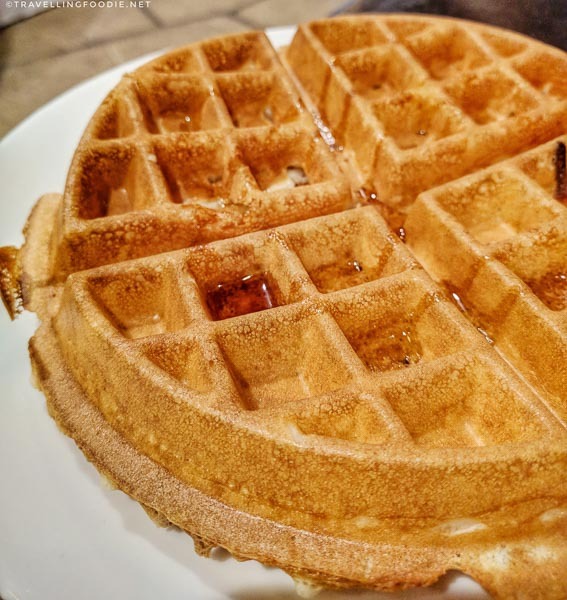 This may sound weird but the waffle here was actually the best waffle from hotel waffle makers I’ve had! Though quite small, there is a gym which has around 5 machines and some weights. There’s complimentary Wi-Fi throughout the premises, as well as a Business Center with two Internet-equipped workstations, fax and printing services. We had the Queen Room which had two queen beds, microwave and refrigerator, a work desk, a chair and flat screen HD TV. The room isn’t that spacious, but is enough for two people. The bed was nice and comfortable. I also like that the sink is outside the bathroom. 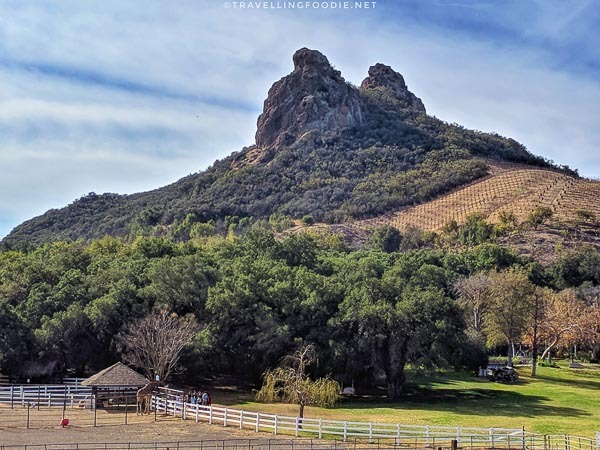 If you’re looking for a fun weekend getaway, I definitely recommend Conejo Valley! 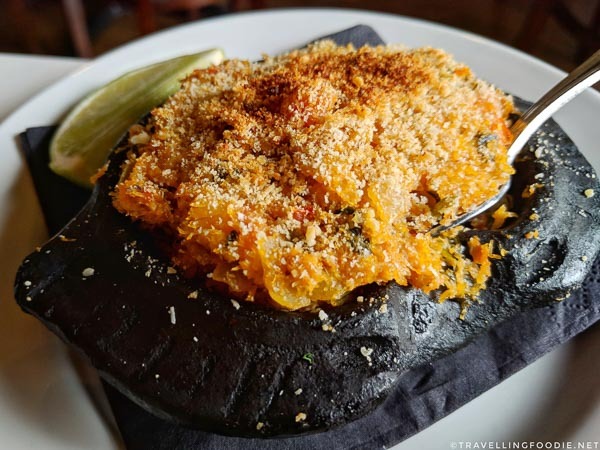 There’s so many unique things to do, places to see and restaurants to try! 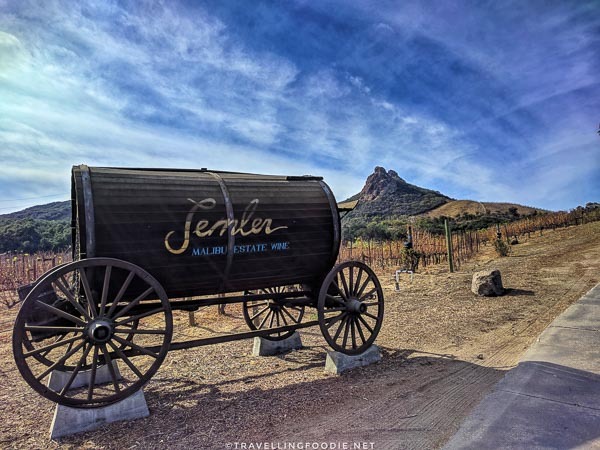 I, for one, can’t wait to go back and explore more on what Conejo Valley has to offer! Which ones sounded most interesting to you? Comment below, or shoot me an email, or message me on social media! 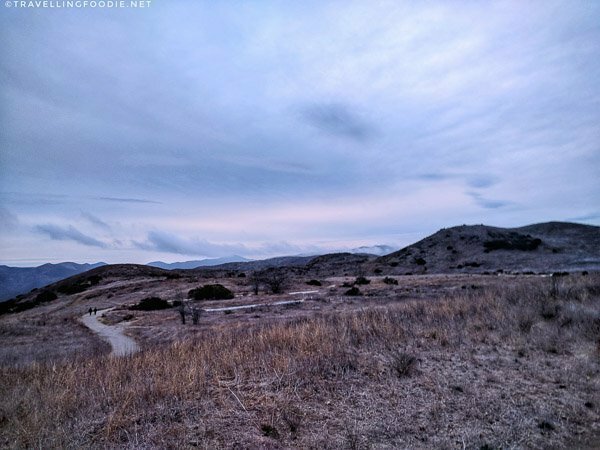 Huge thanks to Visit Conejo Valley for sponsoring this post. As usual, reviews and opinions are entirely my own. You can learn more about Conejo Valley thru their website, or find them in Facebook, Twitter and Instagram. 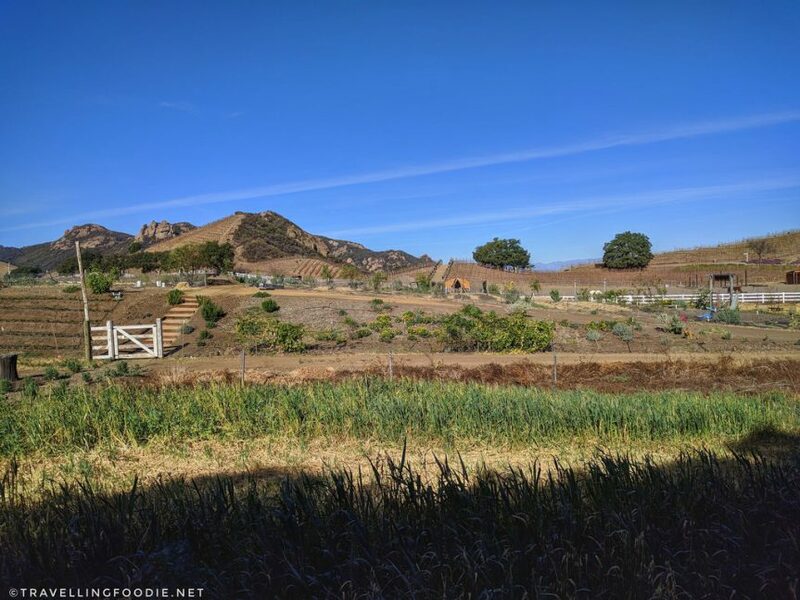 Posted on January 28, 2018 January 1, 2019 by Travelling FoodiePosted in Agoura Hills, California, Conejo Valley, Food, Malibu, Newbury Park, Simi Valley, Thousand Oaks, Travel, USATagged accommodations, activities, guides, nature, restaurants, sights and landmarks, tours. All of the food looks absolutely amazing! 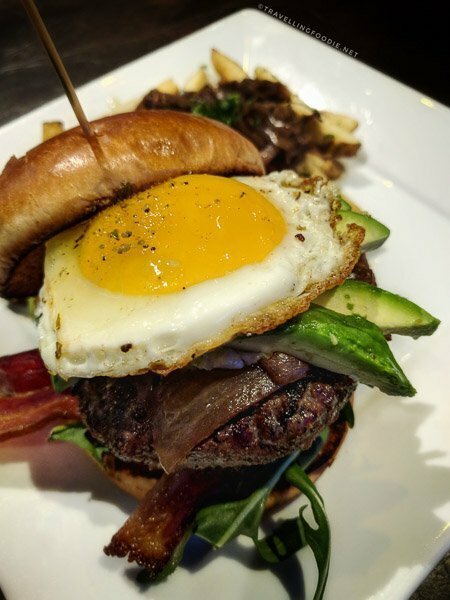 That burger with the egg on it ðŸ˜ also wine hikes sound right up our alley! So fun that you explored a little hidden gem of an area!